Founded in 1904, the Association of Chartered Certified Accountants (ACCA) is the global body for professional accountants offering the Chartered Certified Accountant qualification. ACCA is one of the largest and fastest-growing global accountancy bodies with 154,000 members and 432,000 students in 170 countries. 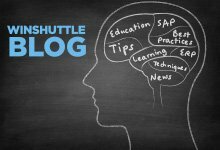 This week, we reveal many of the results and conclusions that came from the joint ACCA and Winshuttle Budgeting and Planning questionnaire. 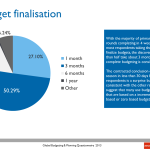 The questionnaire sought to understand how businesses globally are managing and undertaking budgeting and planning activities including the use of rolling budgets. It also helped analyse methods and technologies used for the launch, collation, agreement and maintenance of budgets and business plans in the context of automation and business process optimisation. 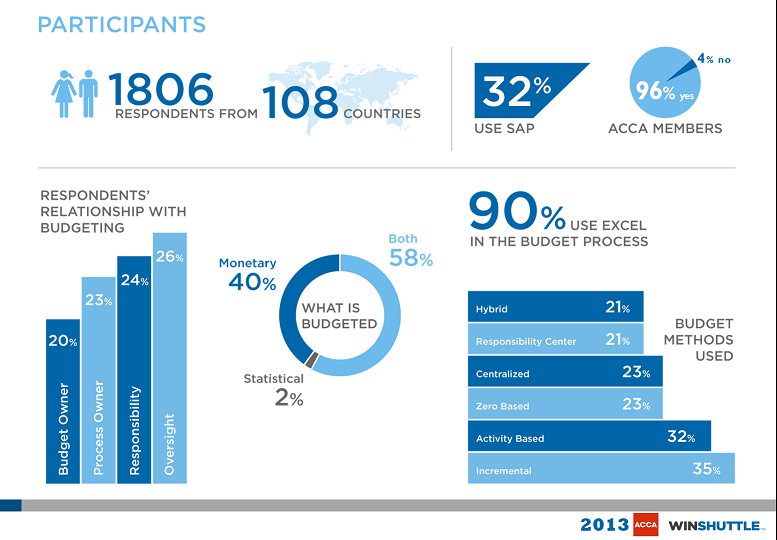 Among the 1800+ respondents, around 58% of the respondents use SAP, Oracle or Sage as their core accounting system. The results supported some of our positions and refuted others. 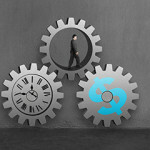 Most important was that even among the respondents using some of the leading ERP systems, budgeting tools were not that prevalent which was what we expected. This suggests that either the tools don’t address the market needs or that Excel continues to be more than adequate for most budgeting related activities. Join us on 21 November at 10am (UK) for a free, live and interactive webinar to get an exclusive preview of the findings from the Global Budgeting and Planning Questionnaire 2013.